We don't need to tell you how important it is to have your devices charged up and ready to go at all times, but when you're on the go, it's not always easy to find a place to power up. 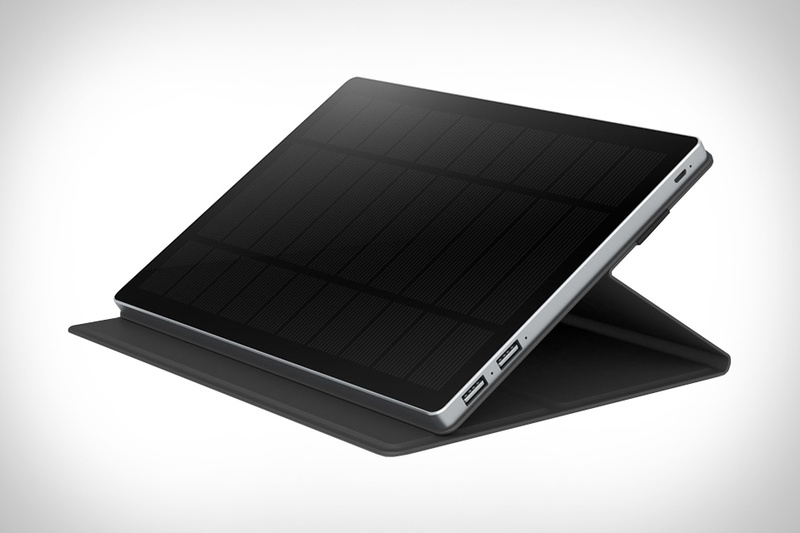 The Solar Charger from Solartab relies on the sun to charge, and even features a second internal battery that stores solar power for charging when the sun is behind the clouds or gracing a different part of the earth. It's only slightly bigger than an IPad, is a super light 400g, and features a sleek, clean design. Keep your devices ready and willing regardless of your surroundings this summer. An app for this. An app for that. Replace a folder full of remote apps with a single Nuimo Universal Controller. This Bluetooth-based device connects to a bevy of different services — like Nest, Spotify, Wemo, and Philips Hue — and gives you control via simple inputs like clicks, turns, and swipes. The controller features an LED matrix on its face to give you instant feedback of changes, and runs up to four months on a single charge. Which is far more than we can say for your phone.